Although Ethereum is currently seeing a price drop due to its highly-anticipated Constantinople hard fork being delayed, it will still likely prove to be a positive event for the cryptocurrency’s price once the security flaws are smoothed out and it is implemented. Investors will not know until Friday when the new scheduled date for the hard fork is. The term “hard fork” is typically seen as being a negative event for cryptocurrencies, and this is in part due to previous forks that have badly burned investors, like the recent Bitcoin Cash hard fork that split the community and led the cryptocurrency’s price to plunge. Despite this, prominent analysts seem to agree that Constantinople may have bullish implications for Ethereum in the long run, mainly due to its network improvements and its supply reducing upgrade that will reduce the new supply of ETH by 33%. One of the greatest risks posed by hard forks is when they split the cryptocurrency into two versions. This can greatly impact the crypto’s price action, and it can split the community while driving fearful investors out of their positions. It is important to note that this is not the case with the upcoming Constantinople fork, which will not be splitting ETH and should offer some great benefits to the network. “Sometimes, when there is a disagreement among the community about the upgrade, some members will choose to keep the old version of the blockchain alive and we see a split. The most famous cases of this was when Bitcoin Cash split off of Bitcoin on August 1st 2017 and when Ethereum split with Ethereum Classic back in 2016,” he explained. Ethereum core developer Lane Rettig spoke to Bloomberg earlier today about the upcoming fork, noting that it is one of the least eventful the network has seen in its history. “I really can’t imagine a less contentious hard fork, to be honest… Of all the hard forks in the history of Ethereum, it’s probably the least eventful one,” Rettig said. Now, however, the fork is seeing increased drama and scrutiny due to the recently discovered security flaw that, if it had been implemented, would have allowed nefarious actors to exploit a loophole in the coding that would have essentially allowed them to continuously withdraw innocent user’s funds. 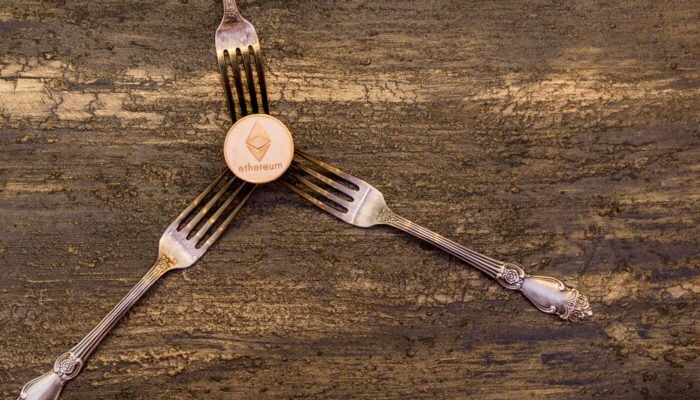 In addition to offering some simple improvements to the network, analysts do believe that ETH investors will see benefits incurred from the hard fork, specifically due to the block rewards reduction that will reduce the supply of new Ether output, possibly offering the crypto more stable growth in the long-run. Michael Moro, the chief executive officer of Genesis Global Trading, also spoke optimistically about the fork, specifically citing how the reduction of supply will reduce selling pressure. “Being that the inflation rate will drop by a third, it could potentially reduce selling pressure that could come from the miners’ reward,” he explained.